A 30-year old member of the Whistler-Blackcomb ski patrol died despite CPR. The incident occurred after he was caught in an avalanche outside Pemberton. Duncan MacKenzie was skiing with 3 friends who have backcountry experience in the Casper Creek area north of Pemberton when the slide swept him away from his companions. Mounties estimate that MacKenzie was pushed roughly around 1800 meters down the mountain. When his friends managed to reach him, he was unconscious and severely injured. One of the skiers stayed with him while the other 2 went for help. Sgt. Peter Thiessen stated that the rescue teams headed out on foot and snowmobiles but were unable to reach the area until around 11 PM where MacKenzie had already died. Thiessen stated that authorities initially tried to reach MacKenzie via helicopter but the fading daylight made air rescue impossible. The search teams managed to make it into the air and flew Mackenzie’s’ body off the mountain. The prompt delivery of cardiopulmonary resuscitation (CPR) is vital to save a life. 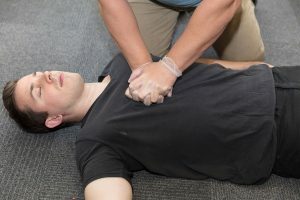 It is a life-saving technique that significantly improves the chances of survival during emergencies.